Manufacturer of a wide range of products which include variable inlet vane damper, viv damper, variable inlet vane dampers and inlet vane dampers. 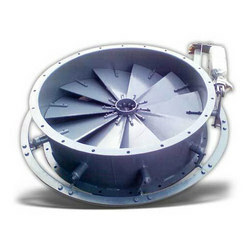 Incorporated long back the Organisation, considered as one of the well-known and most reckoned providers of high quality Variable Inlet Vane Damper. . Our entire products ranges are made by using supreme quality raw materials and state-of-art technologies under the monitory of experienced professionals. We duly check Embossing Machine on diverse quality norms before supply to clients. We have been instrumental in providing our valued customers a rich assortment of Ultra Viv Damper & Manually Operated Damper. Manufactured by using modern technology, our range is highly demanded as we offer the same at competitive price to our customers. Our range of Viv Damper & Manually Operated Damper is widely appreciated for its corrosion resistance, longer functional life and reliable performance. 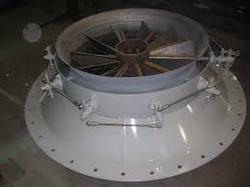 We have gained popularity among our vast base of clients by offering significant Variable Inlet Vane Dampers. Based on advanced mechanism, these offered products are in compliance with the defined parameters of the industry. 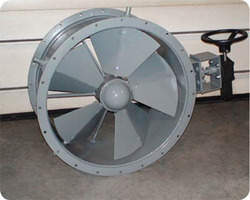 Relying on our rich expertise in the industry, our organization is able to provide a high quality range of Inlet Vane Dampers. Our array of Inlet Vane Dampers is made by utilizing high grade raw material and innovative technology in strict compliance with the international quality norms and standards. Coupled with modern technology, our range of Inlet Vane Dampers are automatic and gives brilliant performance to the user. 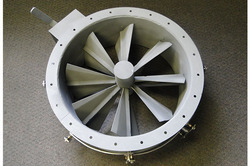 Looking for Inlet Vane Dampers ?